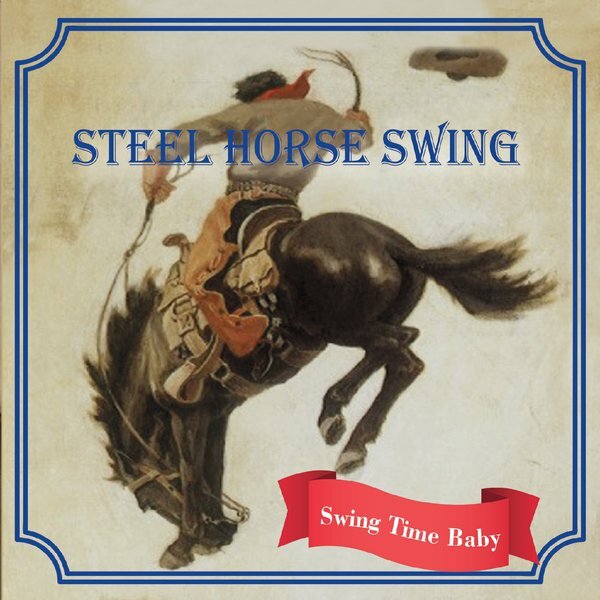 New Relase Steel Horse Swing "Swing Time Baby"
Swing Time Baby is a collection of Western Swing with Rodeo and Cowboy Classics. Exceptional lyrics mixed with catchy original beats, blended to create an infectious western dance sound. Check out the original hit single Swing Time Baby or the classic remake of Hey Good Lookin’ . The band was started by a real cowboy or should we say Pro Rodeo Bull Rider, Carlos Washington. Carlos reputation as a singing cowboy grew as he was singing on stage in an effort to earn money to pay his entry fees in the Pro Rodeo Cowboys Association and Bill Picket Rodeo association Circuits. Before long, organizers wouldn’t let him on a bull without singing the National Anthem to open the Rodeo. Terry Bradshaw, co-host of FOX’s NFL Sunday said of Carlos’ anthem performance “Very few can hold a candle to ya or light your fire, son.” Carlos has shared the Stage with some of country music’s leading acts such as Willie Nelson, Faith Hill, Terry McBride and Mark Chestnut and was honored with the title” Denver’s Best Country Western Frontman” by Denver Westward Magazine. Nationally known guitarist Kit Simon, from Indiana, playing hot swing chords and honky tonk riffs and Joel Denman of Colorado Springs fiddling blistering solos and heart felt cowboy ballads puts a unique stamp on the sounds. Putting the “steel” in Steel Horse Swing is versatile South Dakotan, Tom Broderick on pedal steel. Tom can also pick a mean telecaster guitar and has played with Carlos Washington for over 20 years. Brad Van Loenen on upright bass is a renowned mandolin maker, and Daniel Quisenberry, hailing from Illinois, is on drums.